Since December 26, 2018, 22 horses have died at Santa Anita Park in Arcadia, Calif. The cause for so many deaths has not yet been determined. One possibility is that these racehorses may have had prior injuries and were given pain medication to mask them so they could continue running. This practice is all too common in the U.S. horseracing industry, according to a 2012 investigative report by the New York Times. The same day a filly named Princess Lili broke both her front legs and was euthanized, becoming the 22nd fatality at Santa Anita, the Horseracing Integrity Act (H.R.1754) was reintroduced in Congress by U.S. Reps. Paul Tonko (D-N.Y.) and Andy Barr (R-Ky.), co-chairs of the Congressional Horse Caucus. The Horseracing Integrity Act would protect all U.S. racehorses by creating a uniform national standard for drug testing. 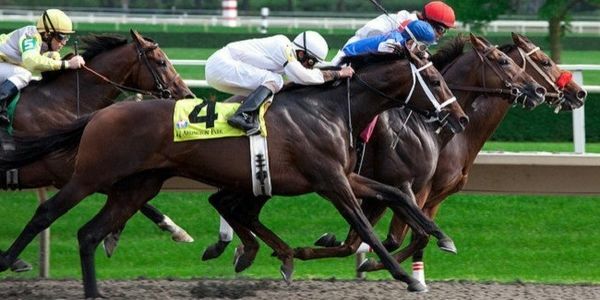 It would ban all medications within 24 hours of a race and would create an independent authority to develop and administer a nationwide antidoping control program for the horseracing industry. It's too late to save the lives of Princess Lili and all those other racehorses, but the passage of the Horseracing Integrity Act could help prevent even more horses from suffering.